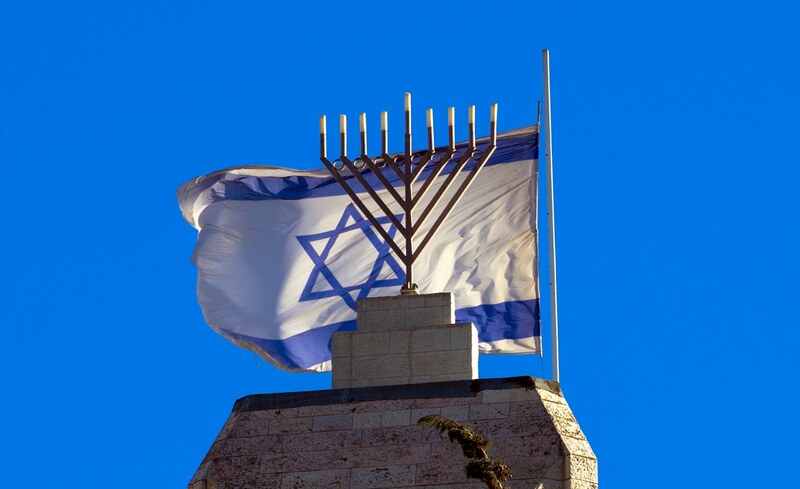 It seems as if each week, FamilySearch brings out more and more wonderful databases for finding our Jewish ancestors. 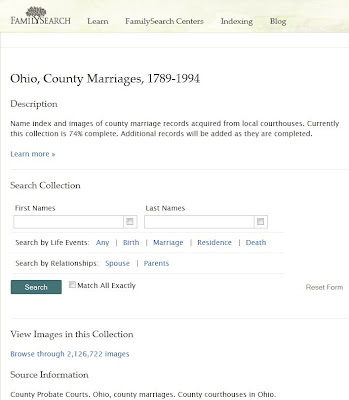 This week, the first part of the "Ohio County Marriages, 1789-1994" have been added to the Historical Collections at www.familysearch.org. At this time the collection is about 74% complete and includes over 2.1 million images. 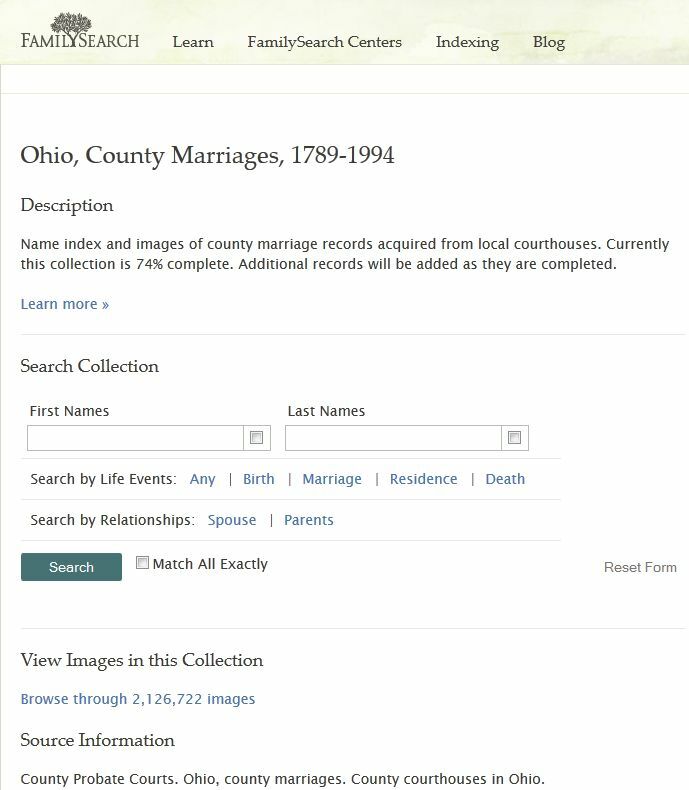 By clicking on the view image button on the left side of the record, I was able to pull up the original record of the marriage on the 30th of July 1900 of Moses Abrams and Mamie Koliskey. 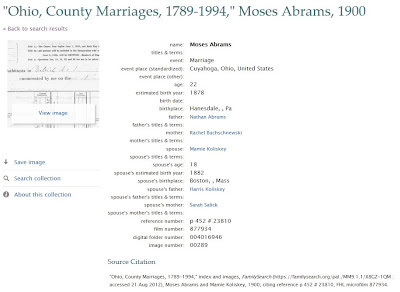 As we look at the information provided for Moses we see that he was born in Pennsylvania in 1878 and at the time of the license he was living at 38 Orange Street. 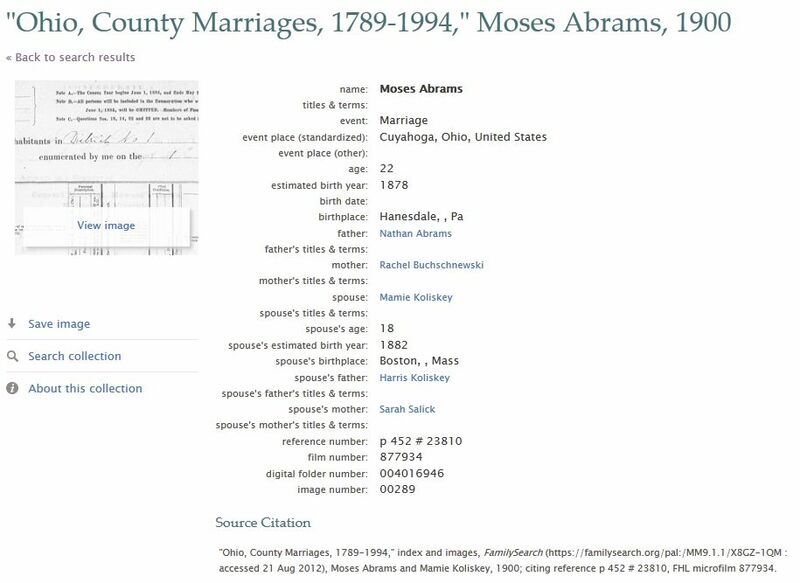 If we look at another of the free databases at www.familysearch, the 1900 United States Census we find a Moses Abrams living on Orange Street. He is listed as being born in 1878 in Pennsylvania. At the time of the census, he is living in the household of his sister and her family. 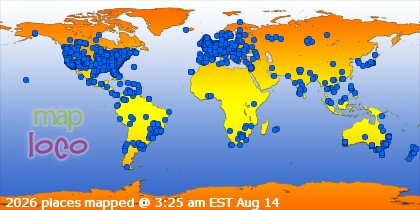 Using the various databases, all available for free, we are started in put together a very nice record of this family.